Our Twelfth Tradition states: Anonymity is the spiritual foundation of all our traditions, ever reminding us to place principles before personalities. We believe in supporting the spirit of our Twelfth Tradition of anonymity by stating clearly that we do not employ any technical means or programs to track or identify any visitor to this web site. HTTP cookies are issued by our web hosting service only for aggregate information (number of unique visitors, date and time of visit, the type of browser used, for example). The cookie issued to visitors of the website is used for no other purpose by the na-hawaii.org website. Any communication submitted to na-hawaii.org will be treated with confidentiality. We do not guarantee total anonymity under all circumstances. We suggest that the senders of e-mail or those who use our feedback form take their own precautions if they desire to remain anonymous. All communications received through this site are considered to be “official NA business” and require some level of identification for the purposes of responding to these communications (if a response is required). All efforts will be made to pass on these communications in a timely manner to a responsible trusted servant. 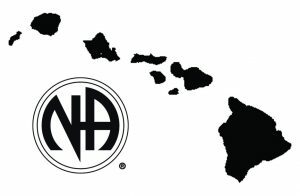 There are alternative methods for communicating with Narcotics Anonymous within the Hawaii Region. These alternatives are listed on our contact page Please utilize that information if it is necessary to fulfill your requirements. Under no circumstances will na-hawaii.org forward e-mail of a personal nature to any NA member here in the Hawaii Region. We do not acknowledge anyone’s membership in Narcotics Anonymous Hawaii. Thank you for respecting this policy. 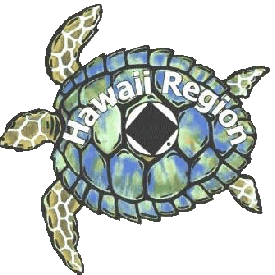 The policy outlined here will evolve in the future as the guidelines and policy for our website are changed at the direction of the Hawaii Regional Service Committee. Your comments are welcome on this topic so please use our feedback form.